Home News In the finals…..again. Firstly, let me aplogise for the lack of blog posts and input to my social media channels over the last few weeks. Just after Christmas I fell under the bug that has been going around and it really took it out of me (it must be something to do with my age lol). I did manage to get on with some behind the scenes work, including the research for a new project- more information will be posted soon. Anyway, I am now back on form and soon to be back out on the high fells. 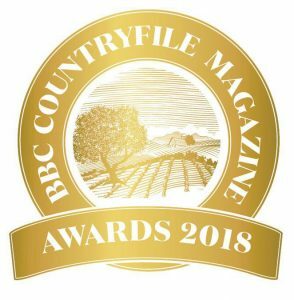 You may recall that in November I wrote a post about the nominations for the BBC Countryfile Magazine Awards. 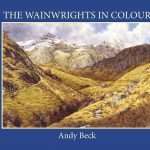 Well, amazingly I recently was informed that The Wainwrights in Colour had indeed been nominated for the award of Country Book of the Year but on top of that my book had been shortlisted as a finalist for these awards. This all follows close on the heels of the amazing win of Outdoor Book of the Year in the TGO magazine. I still can’t get over how well recieved this book has been and I am honoured to have been recognised in such a way. As with many of these awards these days getting shortlisted is all well and good but the winner is down to a public vote so once again I am asking you to have a look at the final shortlisted selection and if you feel that The Wainwrights in Colour is worthy of such an award then please feel free to vote for the book. Can I win again? Who knows, but thank you to all of you who tick the appropriate box. Thank you Harry, being shortlisted is a real honour. I’ll say it again, ‘It’s a winner!’ Good luck in the BBC Countryfile Awards! Congratulations on being shortlisted Andy and good luck as it certainly deserves to be the winner. Many thanks Terry, fingers are crosssed.